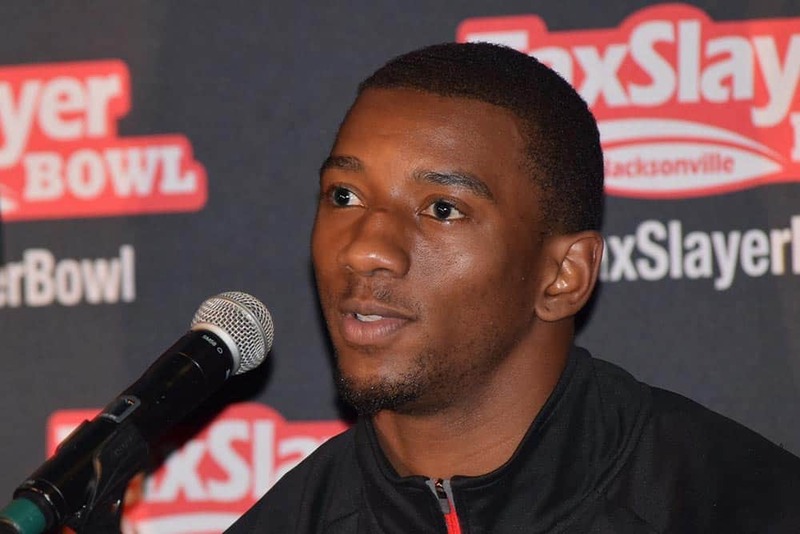 ATHENS, Ga. –Former University of Georgia wide receiver and Valdosta, Ga., native Malcolm Mitchell will receive the Community Spirit Award Presented by Georgia Power, A Southern Company, at the 11th annual Atlanta Sports Awards. He will be honored at The Fabulous Fox Theatre on February 25. The Community Spirit Award is presented annually to an Atlanta-area individual who is actively involved in the community and epitomizes the highest standards for leadership, sportsmanship and integrity. Mitchell, known in Athens for his football prowess and off-the-field contributions, joins fellow former UGA wide receiver Chris Conley as just the second collegiate athlete to ever win the award. Mitchell engages with the community in a variety of ways, volunteering at “Learn, Play, Excel,” the UGA Athletic Association’s program promoting leadership, anti-bullying, respect for authority and the value of athletics participation with Athens- and Atlanta-area elementary schools; visiting with members of Extra Special People, an organization assisting individuals with developmental disabilities and their families; spending time at Athens’ St. Mary’s Hospital, the Children’s Healthcare and Scottish Rite Hospital facilities in Atlanta, and Wolfson Children’s Hospital in Jacksonville, Florida; and volunteering with a charitable event co-hosted by former Georgia players and current Bulldogs to benefit Children’s Healthcare of Atlanta, the UGA College of Education and the Georgia Transplant Foundation. For the Bulldogs, Mitchell stood out as one of Georgia’s most extraordinary players. Named to the preseason All-SEC Third Team at the league’s media days, he was the only non-lineman on offense to start all 13 games of the 2015 season. He led the Bulldogs in receiving the first nine games of the year and 11 total games, including a season-best eight receptions for 122 yards against South Carolina. Mitchell currently sits at No. 6 in career receiving yards at Georgia with 2,350 yards, and recently eclipsed A.J. Green for the No. 3 spot in career receptions with 174. Since graduating with a communications studies degree in December, Mitchell has been training for the NFL Combine. The Atlanta Sports Awards, held annually at The Fabulous Fox Theatre, was created in 2006 by the Atlanta Sports Council to galvanize the high school, collegiate and professional sports communities. This gala-style event begins with a private reception and silent auction followed by dinner and the awards show. Tickets can be purchased at www.AtlantaSportsAwards.com. The Atlanta Sports Council (ASC), a division of the Metro Atlanta Chamber, facilitates the growth and development of sports in metro Atlanta by serving as a recruiter for major regional, national and international sports events. The organization plays an important role in improving the quality of life for residents in the region through sports, working to drive economic growth and visibility and acting as an advocate for the area teams and annual sports events. For more information, visit www.AtlantaSportsCouncil.com.